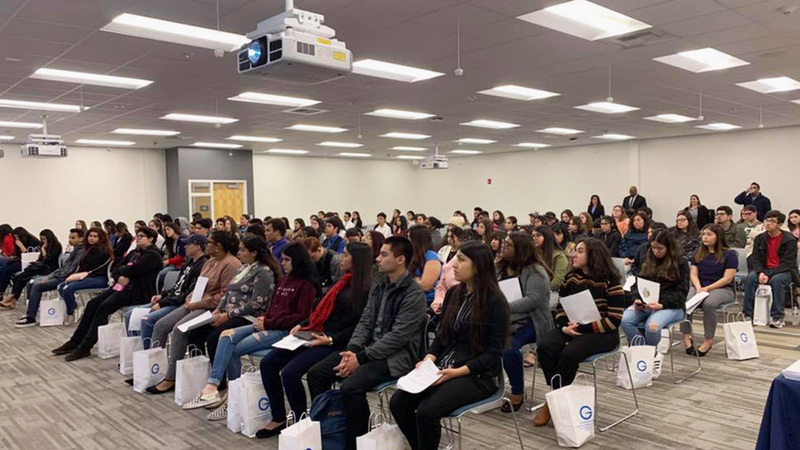 More than 100 San Bernardino County high school students got a jump start on their careers last week as they began internships with more than 20 county departments as part of an initiative titled Generation Go! The countywide program established under the auspicious of the County Workforce Development Board, provides work-based learning opportunities to high school students. A key component of the effort is to prepare county youth to enter the workforce with the skills needed to compete today and in the future. 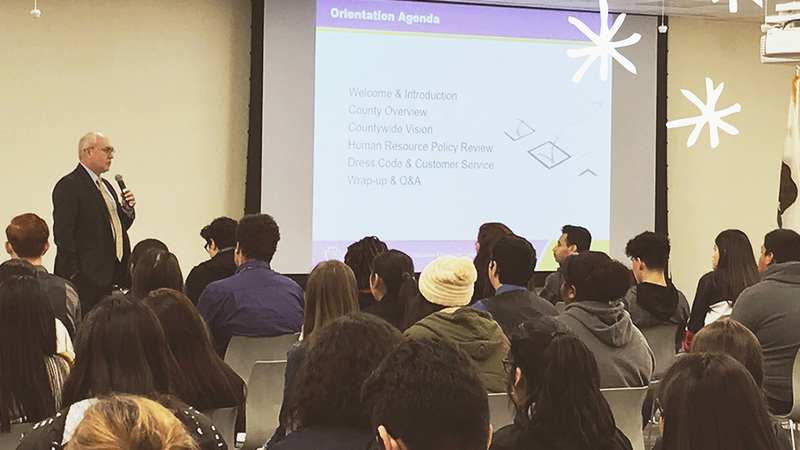 County officials including Board of Supervisors Chairman Curt Hagman, County Chief Executive Officer Gary McBride and Deputy Executive Officer Reg Javier offered words of encouragement to the students during their orientation last week. McBride, for example spoke about how he began his career with the county at a young age in an entry-level position. Generation Go! is an essential element of San Bernardno County’s Vision2Succeed strategy targeted at preparing county residents for current jobs in addition to the jobs the county official want to attract. The county is continuing to seek local businesses willing to provide work-based learning experiences as part of a high school curriculum. Targeted industries include: utilities/energy, logistics/transportation, construction/engineering, automotive, manufacturing and culinary. Employers and job seekers who are interested in the Workforce Development Board programs may call (800) 451-JOBS or visit http://www.sbcounty.gov/workforce.